Since Luzdoc began, our medical team has always prided itself on providing the best quality healthcare services to clients. With this in mind, the Aesthetic Medicine department was initiated at the end of 2012, in order to provide a safe and ethical service for our clients. expression lines around the eyes, the forehead, and between the brows.It is also used to treat smoker’s lines around the lips, to achieve a mild brow lift or lip lift and to improve the appearance of neck bands. It can also be used to treat excessive sweating and temporo-mandibular joint pain disorders. WHO CAN HAVE IT DONE? Any adult over the age of 18 can have it done, although administering this to the very young and the very old is not good medical practice. It is not recommended to have any Botulinum toxin treatment if you are: pregnant or breastfeeding, allergic to any components, or suffer from neurological disorders such as myasthenia gravis. The injection feels like a mild sting which lasts only a few seconds and is usually administered without local anaesthetic. The effects can last anywhere between 3-6 months, sometimes even longer when treating excessive sweating. It all depends on each patient’s metabolism, the amount used, the muscle targeted and any previous treatments with Botulinum toxin. Dermal fillers are most effective for smoothing out wrinkles particularly on the face, and for restoring the natural volume and contours of the face and hands. Any adult over the age of 18 can have it done, although administering this to the very young is not good medical practice. It is not recommended to have any dermal filler injections if you are: pregnant or breastfeeding, allergic to any components, have an active Herpes Simplex or other infection, or are on any anti-coagulant treatment. Most of the products nowadays already contain a local anaesthetic so the injections are only mildly uncomfortable. However, if necessary a local anaesthetic or a nerve block can be performed to help with pain control. longer, depending on the product used. Any adult over the age of 18 can have it done. It is not recommended to have any microneedling treatments if you are: pregnant or breastfeeding, are allergic to metals or anaesthetic preparations, have a history of keloids or hypertrophic scar formation or poor wound healing, have any active infections or previous Herpes Simplex infections, or are on any anti-coagulant medications. You should not feel any pain, however, you may experience some tingling or pressure sensation. After disinfecting the skin, a local anaesthetic cream will be applied to numb the area to be treated and keep you comfortable during the procedure. 1 week. Improvement of pigmented areas is expected to be visible after 3 weeks of treatment. From 6 weeks onwards you may experience a visible improvement in fine lines and wrinkles. You should expect to have multiple treatments (Usually 3-6) for optimum results. 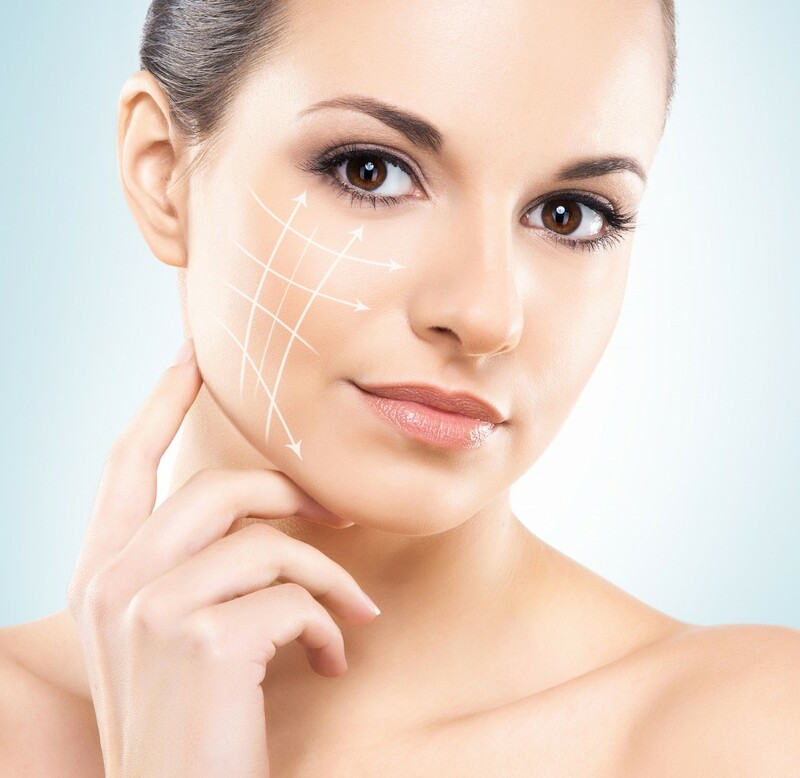 PRP uses the body’s own natural stimulants for skin regeneration. These healing pathways activated by the PRP (which contains plasma, stem cells and Tissue Growth Factors) allow for renewed production of fibrinogen, collagen and the intracellular matrix of the skin, with a resultant improvement in skin texture, tone and firmness. PRP rejuvenation areas include cheeks, face (and in particular around the eyes), jawline, neck, décolleté, back of hands, arms, knees, elbows, as well as for acne scarring and post-pregnancy stretch marks..
Any adult over the age of 18 can have it done. Clients in their 30-40s may benefit from regular PRP treatments as prevention against the aging process whereas more mature skin would benefit greatly from the restorative properties of this procedure. As the clients own blood is used, the risk of allergic reaction or skin sensitivity is virtually non-existent. It is not recommended to have any PRP injections if you are: pregnant or breastfeeding, have an active Herpes Simplex or other infection, are on any anti-coagulant treatment or have a history of cancer. This procedure should only be mildly uncomfortable with a sensation of tightness and heat. However if needed a topical local anaesthetic can be applied. The effects can last from between 9 – 12 months depending on the individual. and for specific conditions only. The chemical can be quite aggressive on the skin and feels like a burn or a sting, but never beyond a point that requires an anaesthetic, as often the discomfort is an indicator of the peeling chemical achieving the correct depth of penetration. Depending on the type of peel being done, a course of one or several treatments 7 or 14 days apart may be advised, with a 6 or 12 monthly follow-up. RF is most effective for mild to moderate skin laxity, small fat deposits and cellulite. It is commonly used to treat the forehead, under the eyes, cheeks, mid-face, jaw line, and neck, but can also help contour other areas on the body, such as the abdomen, thighs and arms, and help reduce small pockets of fat. Any adult over the age of 18 can have it done. It is not recommended to have any RF treatment if you are: pregnant or breastfeeding, allergic to any components, or have any metal implants. The treatment should be completely painless, although a feeling of heat may be experienced. The new RF machines have built in temperature sensors which automatically cut off the energy source if any sign of overheating is detected. The tightening effect may be seen after the very first treatment, and this will continue with time, however to achieve the best results, it may be recommended to have a session every 1-2 weeks with an average of 8-10 sessions in a treatment program. Any adult over the age of 18 can have this procedure. It is not recommended if you have an active Herpes Simplex, dermatosis (e.g. psoriasis, eczema) or other infection in the area to be treated, are pregnant or breast feeding, have impaired healing or sensitivity/allergies to any of the substances used in this treatment. skin. The sensation you get is either nothing at all or, at its worst, a pin prick of discomfort which is only momentary and then disappears completely. Multiple plasma treatment sessions may be required to obtain optimal results. The effects are expected to last for up to 3 years depending on each client’s skin aging factors such as genetics, smoking, sun damage, diet or poor skin care. absorption of liquids through temporarily breaking the cell adhesion molecules. This treatment can be given to clients of all ages. It is not recommended if you have an active Herpes Simplex or dermatosis (eg psoriasis, eczema) in the area to be treated, are pregnant or breast feeding, have impaired healing or sensitivity/allergies to any of the substances used in this treatment. There may be a slightly warm feeling of the skin but this treatment is generally painless. Multiple Plasma Shower treatment sessions are required to obtain optimal results. A treatment programme of 2-6 treatments at 1-4 weekly intervals is recommended to achieve the best results. The number of treatment sessions required depends upon the individual patient and the condition of the skin.